Looking for some fun in the Milwaukee area? 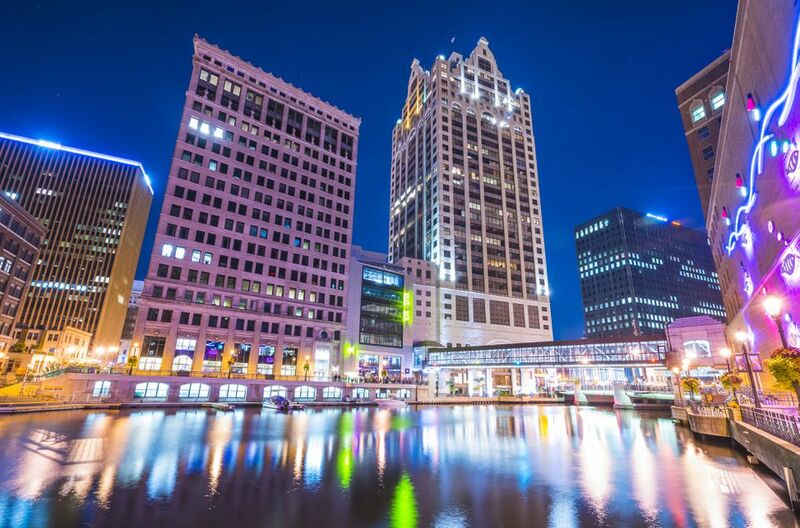 This list of comedy clubs, comedy groups and comedy-friendly venues in the Milwaukee area will help you get your funny fix. An East Side staple, the Comedy Cafe features a great line-up of talent. Shows include a Wednesday night Open Mic, and Thursday, Friday and Saturday traditional stand-up comedy shows, with different drink specials each night. ComedySportz specializes in a "clean" comedy experience, so no worries about offensive material here! ComedySportz specializes in improv comedy, in which two teams of " actletes" makeup scenes and play games on the spot based on audience suggestions. A ComedySportz match features two teams of comedy actletes competing for laughs and points, with a referee keeping things moving and calling fouls. An average of seven to twelve games is played during a match, drawn from a repertoire of over a hundred improv games. Every show is different, with different players, different games, and different audiences supplying new suggestions. Broad Minded is an all-female comedy group that is made up of self-described "femme fatales" of comedy: their comedy kills even the most critical of audience members. Their shows consist of a mixture of live sketches and video performance.